Baby, it's cold outside. 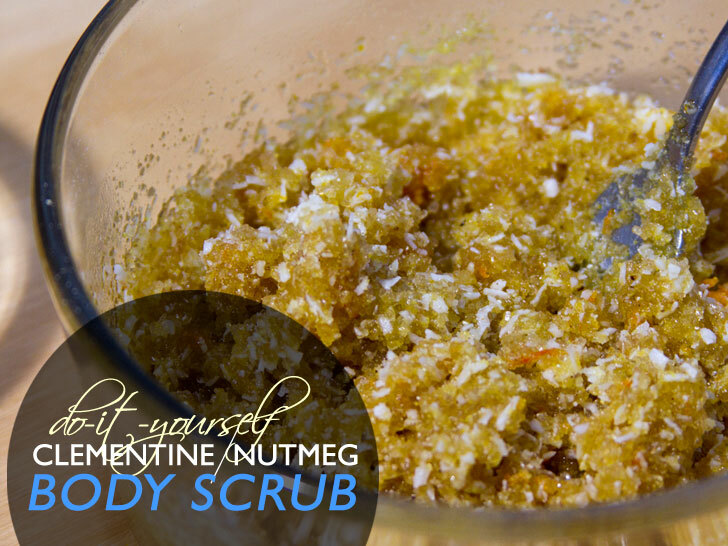 Take a page from Jeff Kurosaki and Tara Pelletier, the duo behind Brooklyn apothecary Meow Meow Tweet and pamper yourself inside with a homemade body scrub that sloughs, invigorates, and nourishes dry winter skin. It'll even get you in the holiday spirit, thanks to its festively aromatic mix of clementine and nutmeg. Easy, affordable, and all-natural, you'll want to make extra for giving away. Peel or zest both clementines. If you’re peeling, mince the peel from one and set aside on plate. 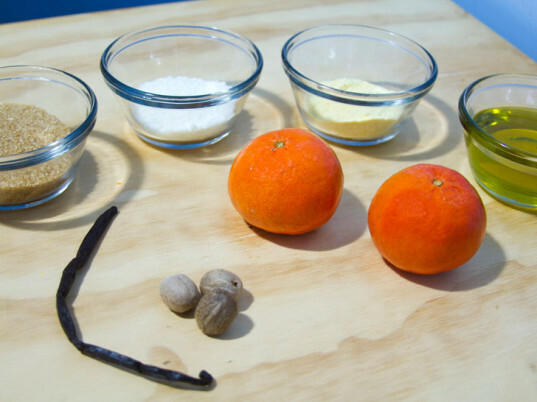 Place peels from second clementine into oil. Split vanilla bean, scrape out seeds, and set aside. Place the bean in the oil. Let the peel and bean steep in the oil overnight or longer. 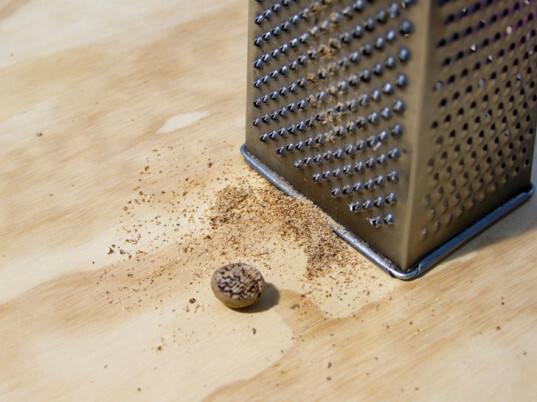 When the oil is ready (it should smell fragrant), grate the nutmeg. 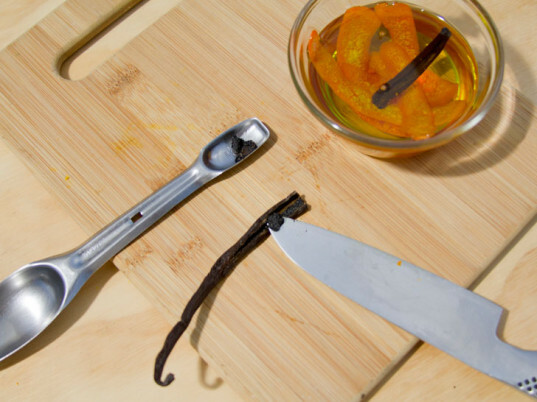 Remove the peels and bean from the oil. 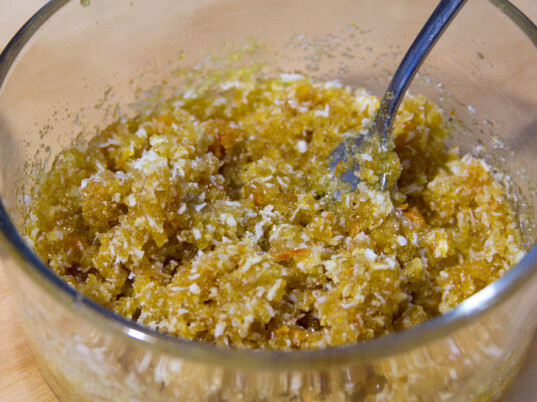 Combine remaining dry ingredients and slowly pour in the oil, mixing to desired consistency. Peel or zest both clementines. If you're peeling, mince the peel from one and set aside on plate. 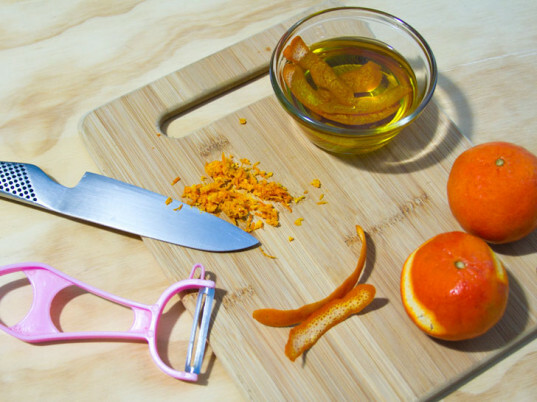 Place peels from second clementine into oil.